Yesterday I realized my total number of blog posts didn’t match the corresponding number. I went back through and realized this trend started because it took less than 10 days for me to miscount to the correct number lol. Because it’s three numbers I missed, each will have a theme. #008 is all about a blast from the past. Gratitude for what got me here and what has made me who I am today. Today marks one year of the red journal. I’ve had journals before and I’ll have journals after but this journal is special. This past year has been quite a roller coaster but having a place to process my thoughts and feelings has been a saving grace. I’ve tried using that space to be more creative, to write descriptively, and to challenge myself. I see my gratitude blogging with a very similar purpose. It’s a place where I can share what’s on my mind with the intention to spread gratitude and positivity when I’m able. Thanks for coming along for the journey. Love, gratitude, positivity, it all starts with us. Whether you have a list or your sending thoughtful texts, demonstrate love in whatever way you know how. You may inspire gratitude in ways you could have never imagined. Featured image of Eagle Lake in Maine! For my American readers, today is a day we all know too well. I was too young to remember any of the images but what I do remember is my parents. My mom, in tears desperately trying to reach my dad. Teachers at school, stunned. My heart goes out to those impacted by today and I have gratitude for the first responders who gave their lives. 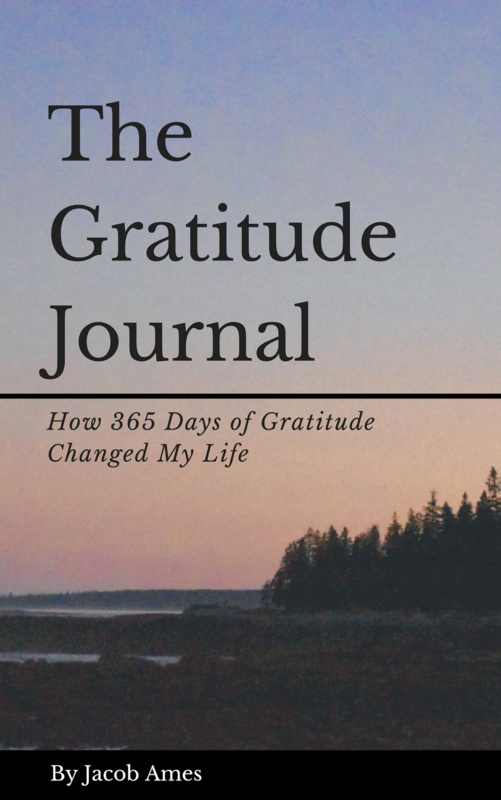 We can use gratitude in so many different ways and we feel it for so many different reasons. But today, I just want to say thank you. August has come and gone. It’s time for a new month full of new challenges and new opportunities. Featured image from the top floor of the Kennedy tower! Love being back at school. Tomorrow starts another work week. I’m looking forward to what these days bring and what I’ll learn. I know it is these moments where hard work pays off. Featured image of one of the craziest sunsets I’ve ever seen. This picture belongs to Niharika Kareddy, a good friend of mine. Life is good. There are a list of superlatives I could use for being exactly where I am. The logical part of conscious is reminding myself it won’t last forever. Something will come up, some challenge or anxiety, but I’m coming to accept that’s part of life. I’m more concerned with enjoying my current situation before worrying about what might go wrong. I’m grateful for this moment and I think that’s what is most important. Whatever happens, I know I’ll be able to handle it. Featured image from the sunset yesterday. I often times wish I had my camera on me more. My iPhone just doesn’t do some of these moments justice.